That might play at Capitol cocktail parties in Austin, but probably not so well with conservative voters at home... those folks who actually expected policy results. "I do not believe this is happening by chance. It is the strategy of the leadership. The last thing the Straus team wants is a lot of vigorous debate between R’s and D’s and long lines at the back microphone, nor do they want want (sic) to give the tea party members anything to get riled up about. So the calendars will continue to be boring and innocuous under the watchful eye of Calendars chair Todd Hunter. I’m not guessing about this; I aired my suspicions to a Straus insider and got an affirmative answer. No long calendars. No contentious bills that could blow up the session. No chance for the tea party freshmen to do their thing. Let’s just get the hell out of Dodge. That’s the plan, man." The House leadership wants to avoid debate and an accounting of this session, something they know debate would provide. Perhaps they don’t realize that doing nothing is pretty much the same thing as doing bad, when there was the chance to do good. We're headed for the history books: two legislative sessions squandered – one with a super-majority, this with a near-super-majority – and precious few substantive reforms to show for it. Whether it is protecting religious liberties or defending life, reforming the budget or cutting taxes, this Texas House is doing little to advance anything like a conservative agenda. If the leadership could do less, they probably would. But as Mr. Burka reports, that’s exactly how the House leadership wants it: nothing bold, nothing substantive, nothing conservative. Indeed, that’s what our House members gave us when they supported the current leadership team. That's what the senior members promoted when they harangued freshmen lawmakers into not fighting for better leadership. It’s a real problem for the GOP. Voters are going to start asking pesky questions about why they should bother supporting Republicans. (That'll turn Texas purple much faster than the Democratic Party ever could...) Yeah, the politicians talk big as conservatives when campaigning, but deliver precious little to the table when governing. Worse, they don’t even seem to be trying. Or, for that matter, caring. 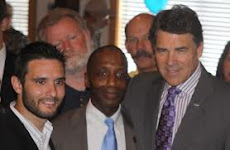 Texans dearly want real reforms and substantive accomplishments. When the incumbent legislators and up-and-coming candidates promised to fight for the values and principles that have made Texas great, we believed them. In office, they cowered meekly before a moderate-to-liberal leadership that cares more about cronyism than capitalism, that wants to hand out favors rather than pursue principles. Cowered? Caved? Capitulated? Not exactly how they campaigned, but it is how far too many are governing. Legislators who want to be counted as conservatives need to start stepping up and showing some real fight. There is still time. You and I have to encourage them to do so. They have 34 days left. It is, after all, what we elected them to do. Cry me a river, MQS. These legislators are YOUR choices, YOUR endorsements in the 2012 Primary. You didn't support the true uncompromising conservatives in the Primary, and you are reaping what you sowed. "Legislators who want to be counted as conservatives need to start stepping up and showing some real fight. There is still time. You and I have to encourage them to do so. " NO. That time was long ago, during the Primaries, when you rejected the only candidates that were committed to FIGHTING STRAUS, in favor of well-funded Establishment picks who everyone knew would support Straus. After all, no one wanted "fighters" then, they wanted reps that would get along and learn how to play the game in Austin. No one - including you, Sullivan - wanted true GAME CHANGERS. So your stomping your foot about it now is way too little, far too late.